Friday, December 6, 2013 at Playhouse Nightclub features opening deejay set by DJ PJAY of Power106 followed by DJ REFLEX along with hip hop sessions by DJ Five Star. 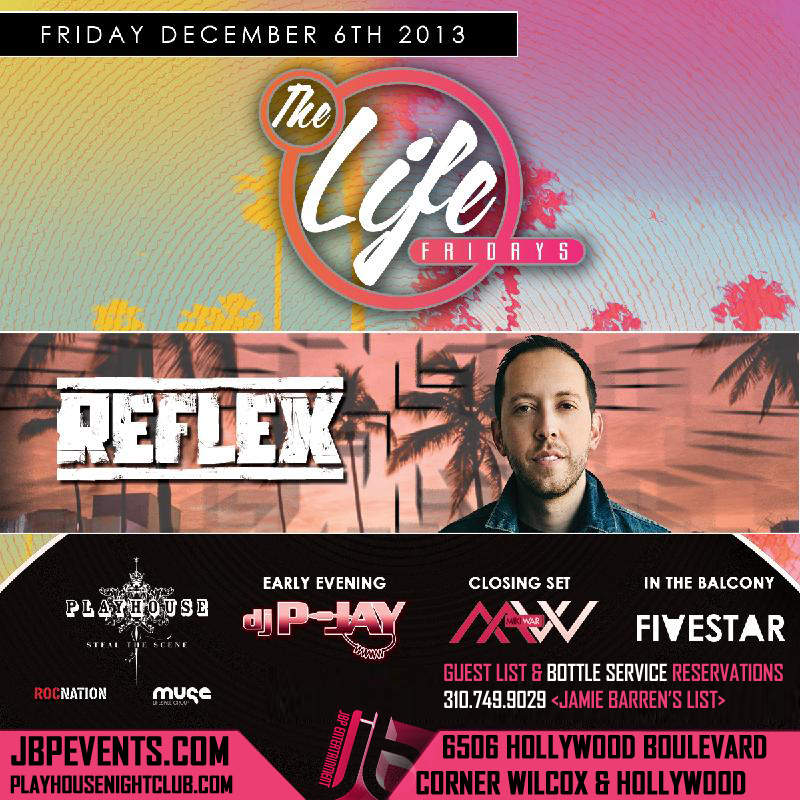 Get ready for another session of Playhouse Nightclub revamped “THE LIFE” Fridays, located at 6506 Hollywood Blvd. in Hollywood. Make sure to arrive early, dress to impress and be 21/over with ID.